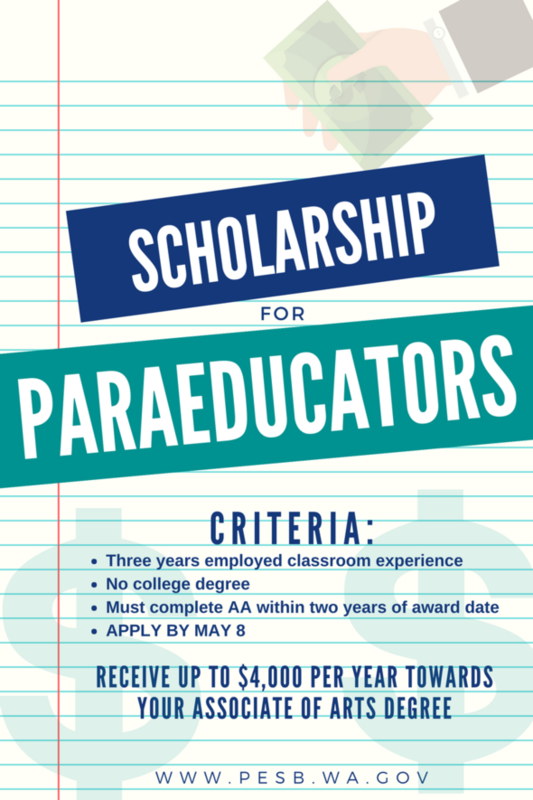 The Pipeline for Paraeducators Conditional Loan Scholarship is a program that provides funding for paraeducators interested in earning their residency teaching certificate. Those awarded will be required to complete their AA within two years of award date, making them eligible to enroll in an Alternative Route 1 program to earn certification, and teach for a minimum of two years. The deadline to submit your application is May 8. For more information on the requirements and responsibilities of candidates, please visit our website.